Officials observe the first of regular imports of foreign wool in North Charleston, imported for the new Wellman Combing Company in Johnsonville. 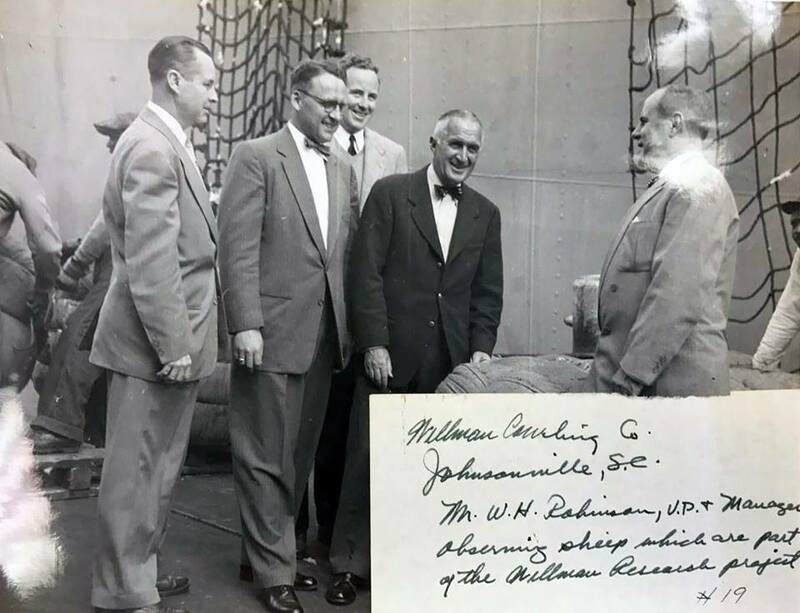 L to R: J. J. Lamb with Palmetto Shipping, W. H. Robinson, V.P and manager, Arthur O. Wellman, and L. W. Bishop, director of the SC Development Board. 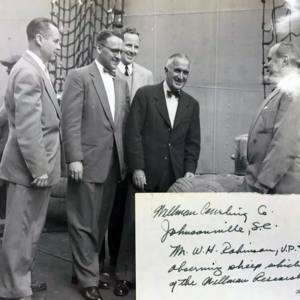 “Arthur Wellman welcomes first foreign shipment of Wool, 1954,” Johnsonville SC History, accessed April 19, 2019, https://www.johnsonvilleschistory.org/items/show/654.